I decided to spend today making up for yesterday's lack of color. I started by going to the Macy's flower show, but quickly realized that everyone else in New York had the same idea, and then left the Macy's flower show. So where else in New York has an abundance of living things? Oo! I know! The Highline! Unfortunately, 24 hours does not make for a significant change in the life cycle of a flower (or does it? Again, not a botanist), and I was met with a whole lot of the same brownness I saw yesterday. So, ok, fine. Lemons, lemonade. 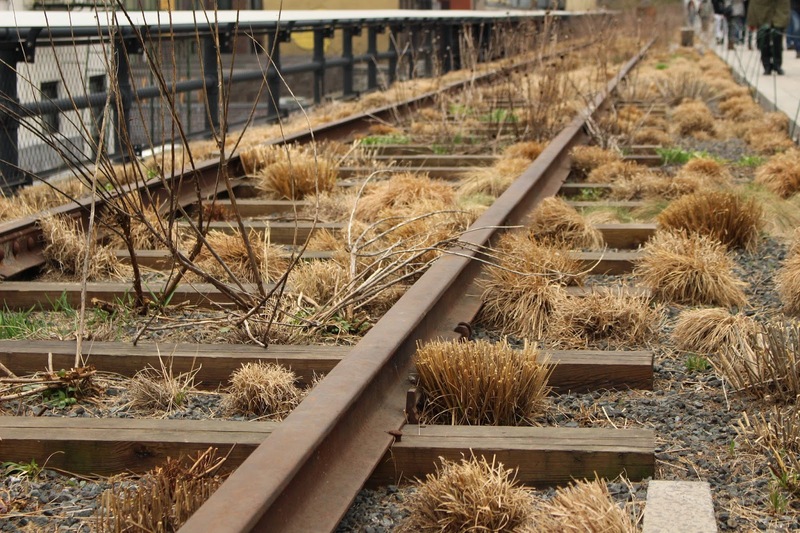 There were still a ton of interesting things to photograph on the Highline, and I was able to focus on using a small aperture on my camera (no pun intended), one of the features I'm most excited to use now that I own a DSLR. Even though I was bummed about today's weather, I have to say that I'm pretty pleased with the pictures I got - taking the extra minute to find the hidden beauty in an otherwise cold and cloudy day definitely paid off!